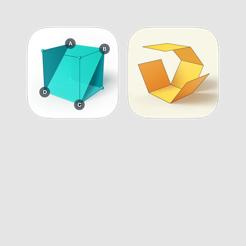 Shapes 3D Geometry bundle is a series of applications for K-12 classrooms. Applications inspire students to investigate and understand the solids on their own, help teachers explain abstract problems in 3D Geometry and create exciting lessons. Our apps develop scientific literacy, problem-solving and creativity skills by providing students and teachers with technology that help them explore scientific challenges in a fun and engaging way. We tackle different visual and abstract problems that teachers and students have at schools when following the curriculum. We want to yield a positive impact on K-12 education by supporting teachers and students with immersive technologies that will help them explore complex geometric problems. We measure the didactic value of our application by verifying it with teachers and students and in collaboration with research facilities that help us define and measure progress in comparison with the traditional approach and other competitive solutions. We design our products in close cooperation with teachers and researchers in domains of education and didactic studies, psychology and cognitive studies.